Bella Cera has a mission to add beauty to the world without compromising its health. This is achieved by harvesting wood from green certified, and self-renewing resources where trees are farmed and replanted constantly causing no negative impact on the environment. Bela Cera also uses an environmentally friendly finish on all their hardwood floors that emit no VOCs. Boards are sized down into the varying 4”, 5”, and 6” widths. Artisan craftsmen then use a combination of circle and straight saw techniques to create four different saw mark distressing. They made the decision to use older saw machines to create less repetitive markings and offer more unique distressing to the boards. The boards are then put through the smoking process where they are arranged on drying racks and put in a smoking machine to accelerate the aging process. After a small amount of time these boards will look as though they have been out in the natural elements such as rain, snow, and direct sunlight for hundreds of years without compromising the quality of the wood. The smoking process helps boards to patina and really bring out the rich coloring in the wood. Though these boards may now look as though they have experienced hundreds of years in the elements, they are built to last. After the boards have been through the smoking process they are taken to have additional distressing details added. Each board is hand sanded on each side as well as the top to ensure smoothness. Boards are also examined by the craftsmen who determine the type of distressing needed on each board as well as the tools needed to achieve it. Hand scraping each board also helps to keep the boards from looking repetitive. No two boards are alike. It is now time for the coating process to take place. This is where pigment is used to enhance the woods natural beauty and aging. The coating process is applied by hand one board at a time and each board can have up to four layers of pigment applied. The boards are then topped with a Bona super low gloss urethane finish which is backed by a 50-year finish warranty. Finally, the boards are ready to be packaged and it should come as no surprise that there is no lack of attention to detail in this step either. 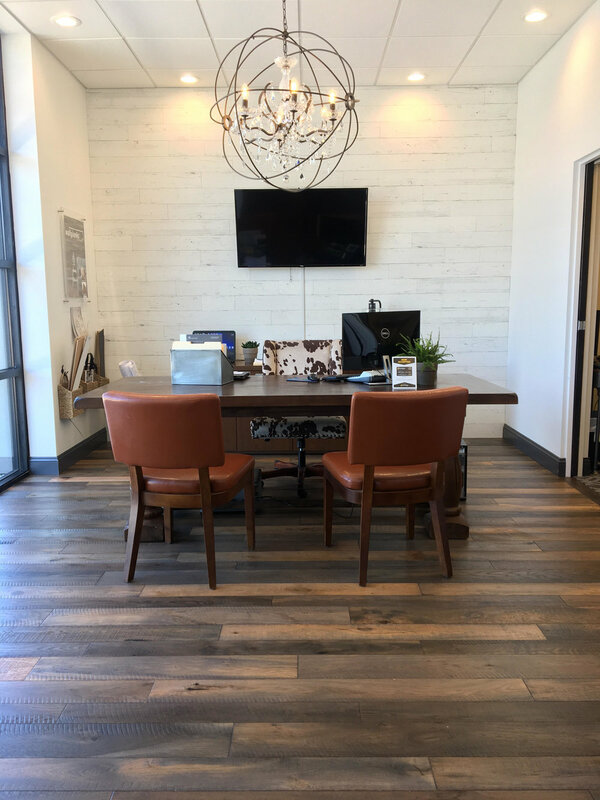 Boards are hand selected to ensure each box has the right combination of lengths, widths, coloring and board distressing to create your beautiful floors. If you have any further questions, feel free to give us a call at 417-883-4720, email us at flooring417@gmail.com, or stop by the showroom to see the Villa Bocelli collection by Bella Cera installed on our showroom floor for yourself. You will find us located at 2516 W. Battlefield Road, Springfield, MO 65807. We love to keep you informed of the latest trends in the flooring industry and with companies that provide great products.